Choose Your Favorite Color Combo and Make It Yours! 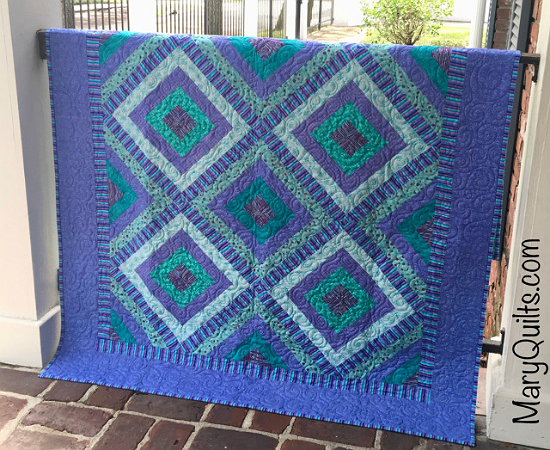 Beautiful blue-violets and turquoise combine for a wonderful quilt. 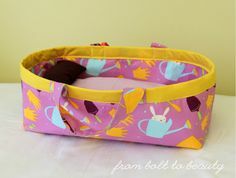 Notice how the striped fabric pulls the colors together while adding interest to the design. 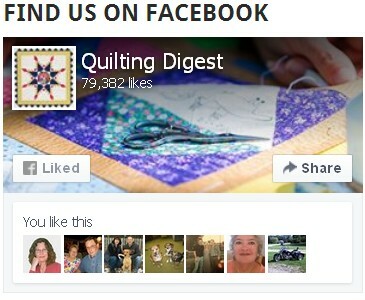 The quilt is simple to make and will be charming in many color themes. 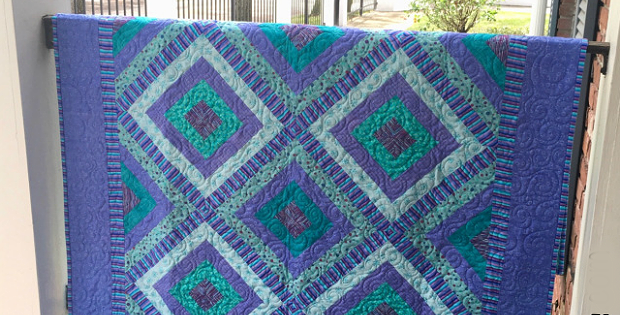 It was made using a “planned” string piecing method. 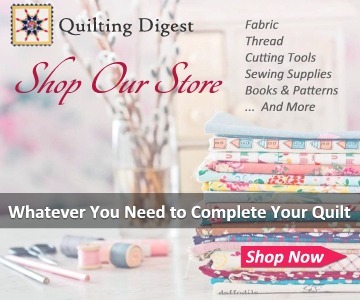 While you may have seen string-pieced quilts made from scrap strips of various widths (see examples here), the consistency of the strip widths gives this quilt its eye-catching design. 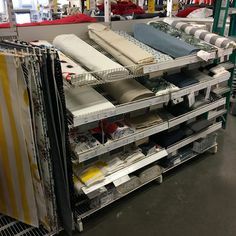 Strips of specified widths are sewn to a thin fabric foundation. The resulting blocks are cut to size and combined to make the quilt top. The finished quilt, from Mary Quilts, is 54″ × 72″. 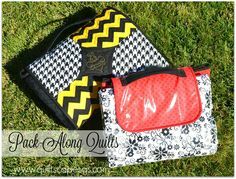 Click here for the free “Sharon Inspired HeartStrings” quilt instructions. You’ll want to review the “HeartStrings Block Guidelines” found here and adapt them as instructed in the link above to make this version. Instructions for trimming the blocks can be found here. The quilt shown here is a modification of the “HeartStrings Quilt Project – Red Centers” pattern, by Mary Johnson for HeartStrings Quilt Project, found here.